Online sales are a thriving market thanks to the speed and focus on connectivity that today’s technology allows consumers to have. 99Bazaraars.com reveals that 33% of online sales now happen on mobile devices. People shop from their smartphones, tablets and computers practically anywhere the urge or need strikes them. Whether it’s on the bus, sitting in a bumper to bumper traffic jam, waiting for the train or having an evening in the fact that consumers can connect to the net anywhere leads to increased sales, if you have the right structure in place to promote them and encourage your customers. Online selling will always be more convenient for the customer and yet somehow harder for the marketers. 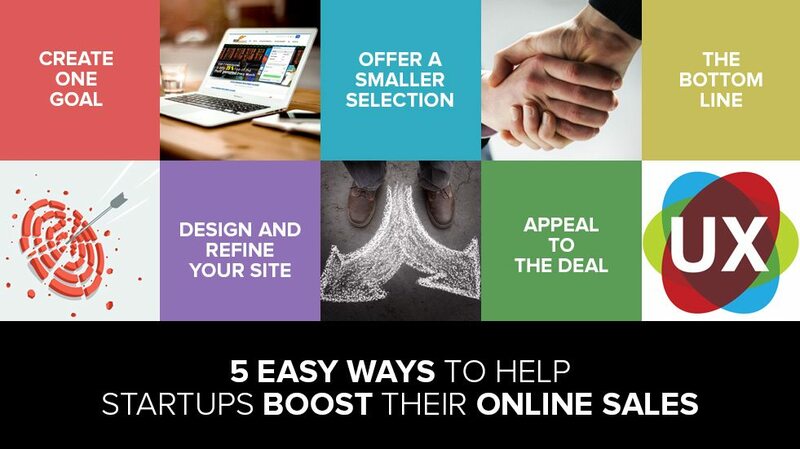 It takes a careful balance of design, selection and content to make online sales work and you may be wondering how to boost what you’ve accomplished to increase your sales. It’s easy to get carried away when you build your digital presence. The scope of the internet makes it easy to spread your focus too thin and this can have an impact on your sales and many other goals you might have for your products or company. Start by defining your goals carefully and getting rid of the elements of your site that clutter up your intended purpose. If driving your online sales is the goal, focus on how to make your site shopper friendly and what promotions or perks to add that will guide customers through the site and to the checkout. You may already have a website, but considering that you’re already overhauling your goals, focus and direction, you should look at the design of your site at this stage. Bulky architecture, design elements and obsolete code can cause your website to look dated or be difficult to navigate and that can hurt your bottom line. Creative Bloq suggests you to clean up the code and refine the site to emphasize what you want customers to see makes it easier for them to grasp the purpose of the site and will improve its accessibility. Overhaul your ecommerce website design and make it mobile friendly. Make sure that you test your site on popular mobile platforms too- many customers browse from their smartphones and sites that don’t take a mobile operating system and restrictions into account can become slow and difficult to navigate due to the screen size as well. If your site isn’t optimized for mobile browsing, you’re losing customers that would otherwise be buying. They’ll go elsewhere for a swift, streamlined experience. Customers like choices, it’s true, and this may seem counterintuitive as a result, but this is a sound business strategy. Customers who are inundated with options when they shop on your site may not buy simply because they’re overwhelmed by the dearth of products that you offer. This might be because there’s too wide a selection of items that all potentially fill similar niches or it could be because of a lack of content to accompany your products. Information is priceless in the digital marketplace. Consumers regularly depend on the internet to provide them with clear, factual information and when they come to a site with a lack of that information, it can be off-putting or even frustrating. Make sure when you fill your site with content, you focus on the information you are providing to the customer. This is a golden opportunity to advertise your company for free- product information, mission statements, goals and facts can be mixed to give the customer a broader picture of your company and your intentions. Using this to appeal to consumers can encourage them to choose your company over competitors and your online sales will go up. Entrepreneur.com reveals that strategies like offering coupons, promotional discounts and free shipping reel customers in because everyone is looking to save a dollar. Just like you, consumers work hard for their money and want to feel like that’s appreciated. Crossing selling your products and offering some bargain priced items gives customers a selection to fit their needs and it helps in increasing your online sales. It’s a bit of marketing magic that gives you an edge; customers feel catered to when similar product selections, low prices and the possibility of free shipping suggest you know just what they want from their experience. The bottom line is these customers want an experience that provides them value, not only in the products but information and the browsing experience. If you can successfully use these tips (and so many others!) to present your products and your e-commerce experience in a positive light, consumers will be happy to browse and buy and your online sales will go up. Looking for Customized, On time, Website Designs? Launch a Website Design Contest today. Choose from 100+ designs. Take your pick!